this T-Light Candle stand is one of the most colourful pieces of art that one would endear and preserve. The bright yellow color further manifests Read More..a sense of candidness to this product. 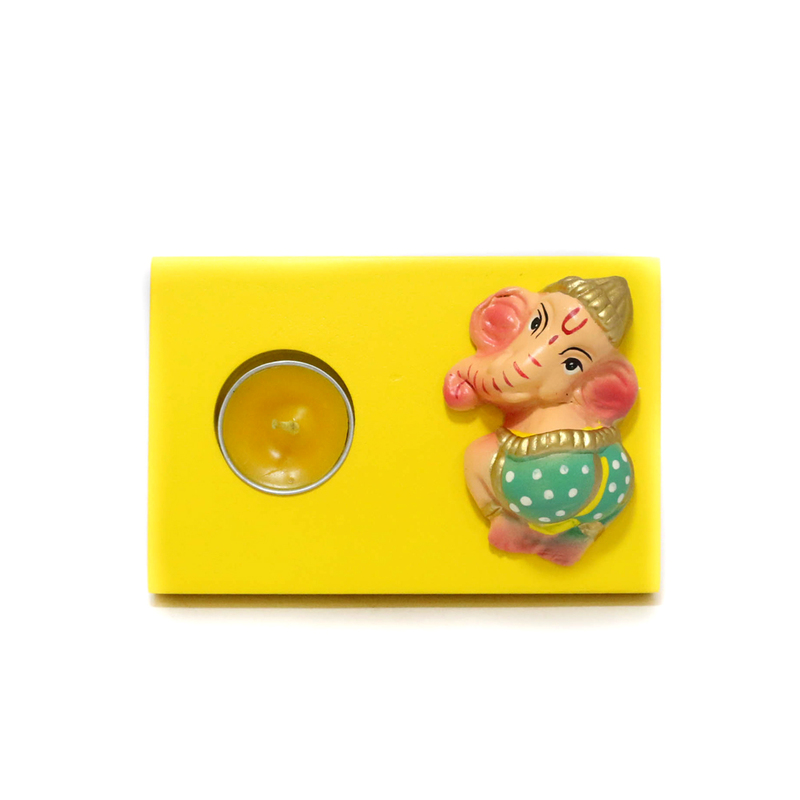 It comes in a rectangular shape with a little Ganesh at one end and a circular yellow candle on the other. this product can very well act as a present for different occasions. Show Less..